Finding Pranburi real estate for sale gives you the chance to live somewhere peaceful and beautiful. You will be able to turn your everyday life into a vacation, or at least turn your vacation into something that is exciting and wondrous. The properties available range from comfortable and affordable to luxurious in every way possible, so you will be able to find something that is suitable for you. You just have to find qualified, capable real estate agents Pranburi Thailand offers if you plan to make use of what is out there. Once you have someone skilled and knowledgeable on your side, you will be one step closer to having your perfect home. In this area, a lot of people might want to consider finding a Pranburi condo for sale. Being a resort area, you can find plenty of condos around that offer everything that you want. You will be able to have space, be close to the beach, and be around everything that you want. On top of all of this, you will be able to have it all at a price that you can afford. 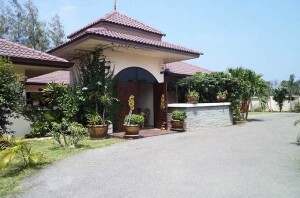 Of course, if you are after a Pranburi house for sale, you can find something that you like. There are some gorgeous homes in the area that give you everything that you want. You will be able to have luxury and comfort everywhere that you look, all while loving everything about the area so much more. Pranburi houses are astonishing because of everything that they offer, and you can take advantage of this. 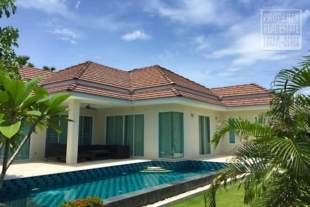 Go here if you’re specifically looking for a house for sale in Hua Hin. 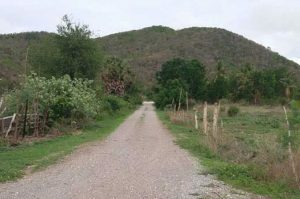 Every now and then you might have a change to find a really great opportunity to buy some of the scarcity land in Pak Nam Pran in Pran Buri. This time we can offer a huge piece of land that is ready to build a beautiful Retirement Resort or a great Eco Holiday Resort. 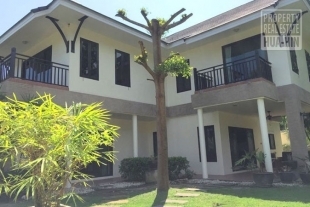 On a great location, next to a small river, in Pran Buri Thailand, close to the beautiful Pak Nam Pran Beach. 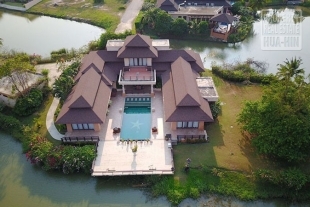 Right on a peaceful location in the amazing nature of Prachuap Khiri Khan Province, with beautiful river front and stunning mountain views. Take a look at this Land for Sale in Pak Nam Pran, an excellent property for new development. A great thing about property real estate Pranburi offers is the range. You can find everything from the affordable and comfortable locations that fit into many budgets to the luxurious and magnificent options that might cost you a lot more. Whatever you want, you will likely find it here. No matter the price, you can find something that makes the most out of the area and love your time here far more. When trying to find a Pranburi villa, condo, or anything else, you are going to want help. You want someone on your side who knows the area and what would be best for your budget. Having realestate Pranburi professionals is vital. You want to be able to navigate everything with ease, especially when spending larger amounts of money. With help on your side, you will be able to find the home or condo that you want without making many sacrifices, if any at all. This can work out for you. Property Pranburi offers is beautiful in various ways. You have the properties themselves, which make living here more exciting and wonderful, along with the area. From the beaches to nature, you have plenty to see and admire. This makes it the perfect area for living, retirement, or vacations. When you have your own home or condo, you can make use of this as often as you want to. Our Property Realestate Pranburi professionals will help you to find the place that is right for you and within your budget with ease.